HOPE school – Moving School 003! 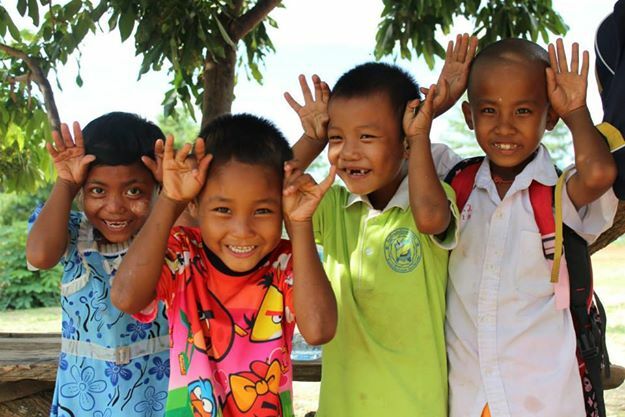 We received fantastic news recently at Building Trust HQ that the Japan Association for the Mae Tao Clinic (JAM) have been able to provide funding to help us provide a further mobile, modular school to a migrant and refugee community on the outskirts of Mae Sot. 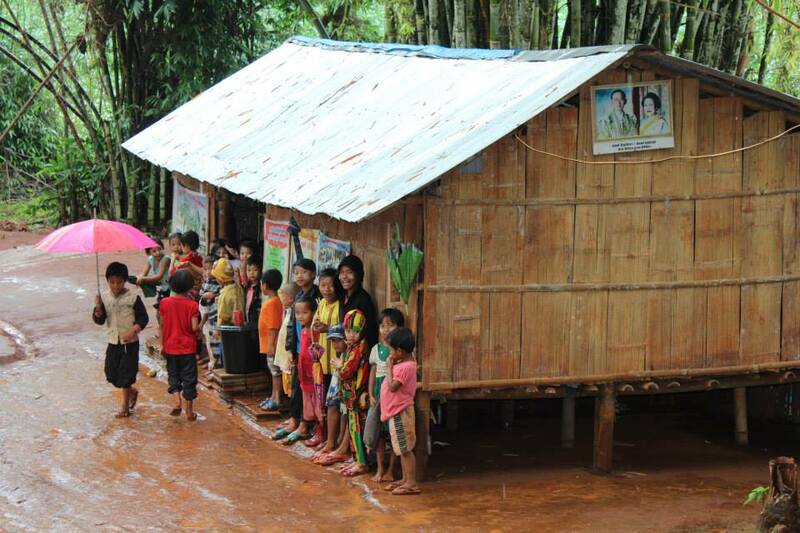 Hope school, which we initially visited in the Summer of 2012, desperately needs facilities for a new classroom. 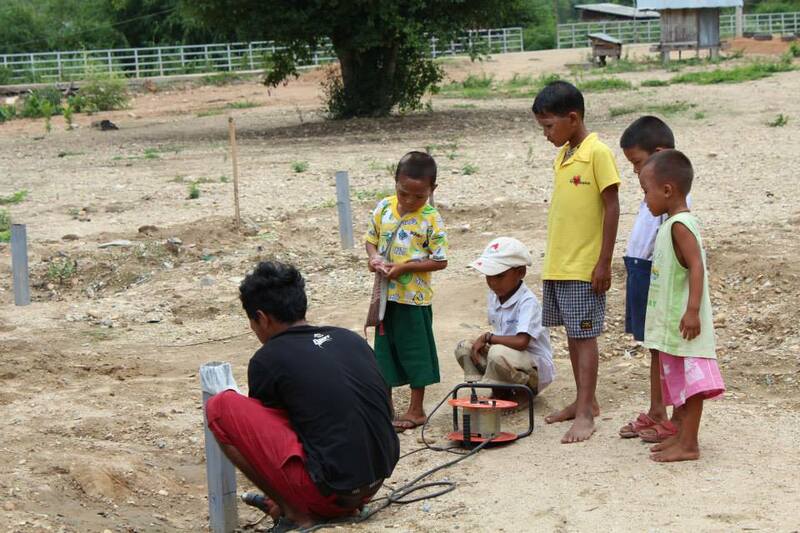 We will be building a new school building for Hope in collaboration with Agora Architects in Mae Sot. 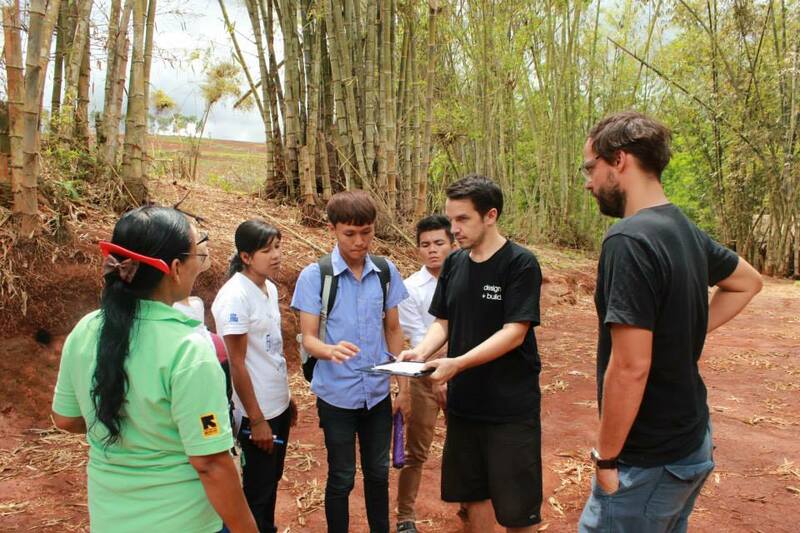 Their school is located in the valley of a bamboo forest with beautiful surroundings but a slightly challenging environment due to very slippery conditions and the school being very remote. We discussed in detail with the School headmistress and teachers as to the position of their new classroom, thinking about the position of the sun during the day and the effect it would have on the light in the classroom. The Headmistress advised the size and scale of the classrooms needed and we discussed where they would sit on the school site. 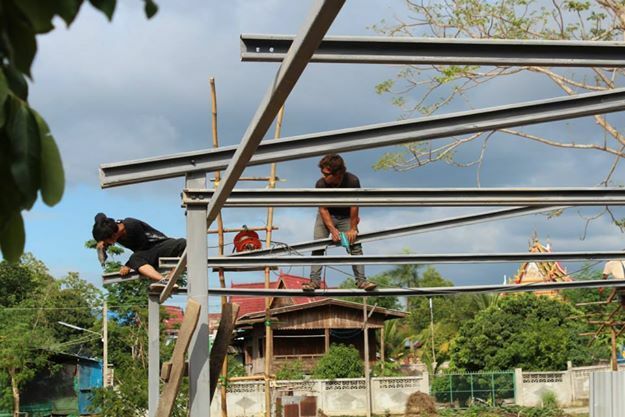 After a few days in the Ironwood workshop cutting and drilling the steel required to create the school structure all components were brought to site on the back of a pick up truck. 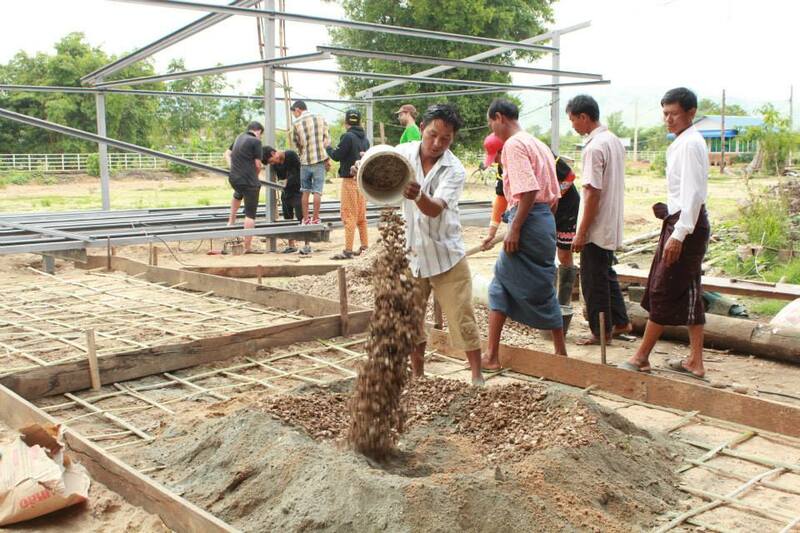 The local community agreed to dig the foundation holes needed for the structure and helped bring the steel to site. 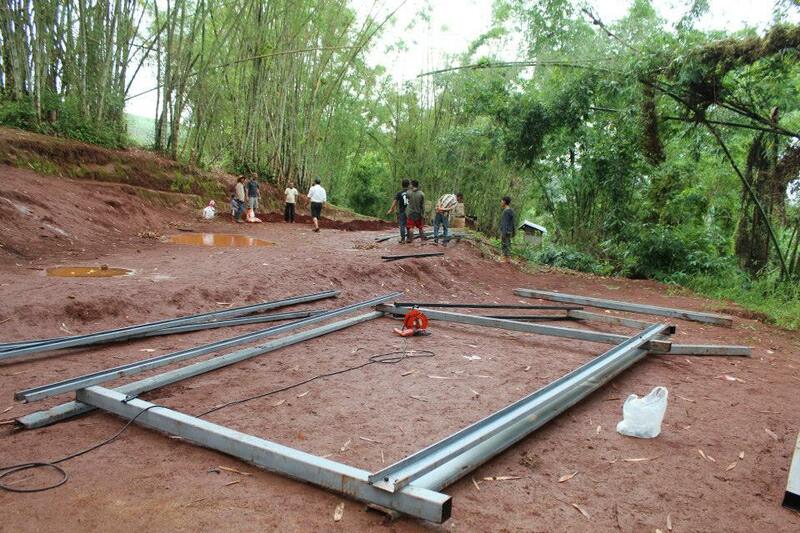 While the community dug the foundation holes in the drizzling rain, the Ironwood team set the frames out and began drilling and bolting the frames together. 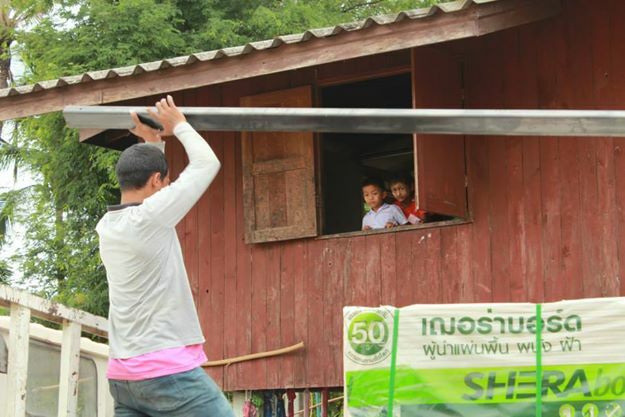 The frames were then carried near to the site of the new school classroom ready to be lifted over the foundation feet and bolted into place. 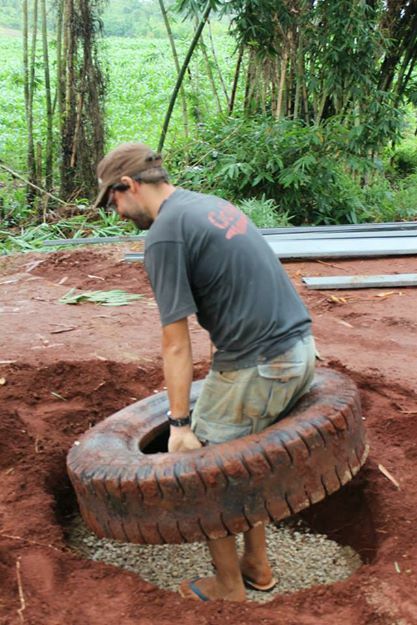 Next the Ironwood team, Agora Architects and Building Trust members helped to prepare the concrete mixture ready to fill the foundation holes which contain one truck tyre and the steel foundation post. The next stage will be to fill the foundations with the concrete mix and set the foundations. I look forward to updating you with the next stages of our third Moving School. After a fantastic couple of days bringing the steel to site and installing the classroom frames, the next task was to fix all the floor joists in place and drill holes into the ceiling beams ready to take the roofing structure. A few of the pupils spent their lunchtime lending a hand and helping us to paint more of the steel sections for their new classroom. 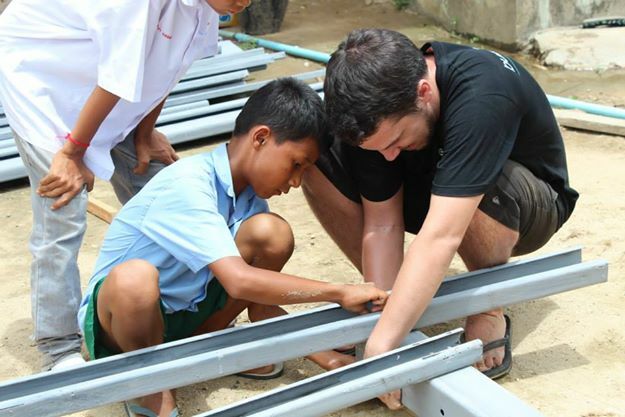 It was great to see their enthusiasm and eagerness to help out on site. 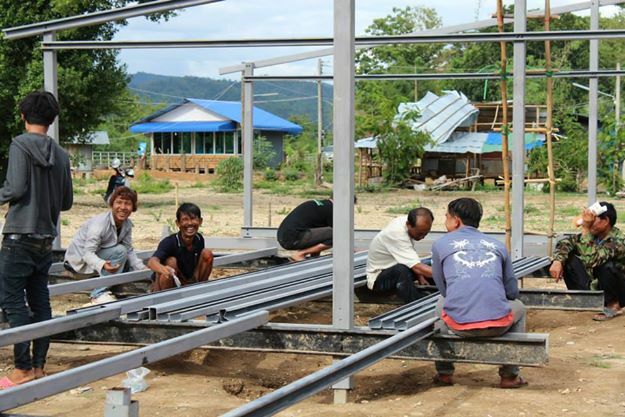 The local community arrived on site ready to work and decided to build a walkway from the current school building to the new classrooms. 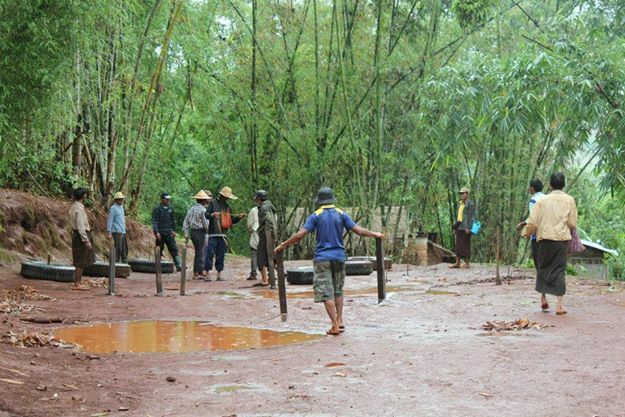 Travelling to the nearest place we could source bamboo, several of the parents cut down 15 pieces of bamboo and then split and stripped the bamboo. 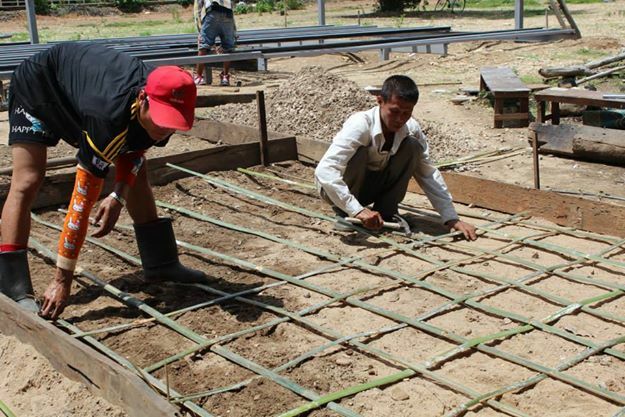 They used the bamboo as a replacement for a metal frame to go at the bottom of the base of the walkway in preparation for a concrete mixture to be poured on top. 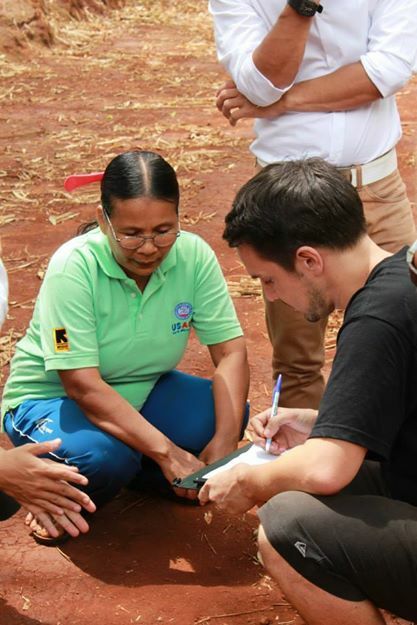 It was fantastic to have the local communities support and assistance in the school project. Both the students and parents were keen to see the Ironwood team working and have the ability to share their different skill sets. 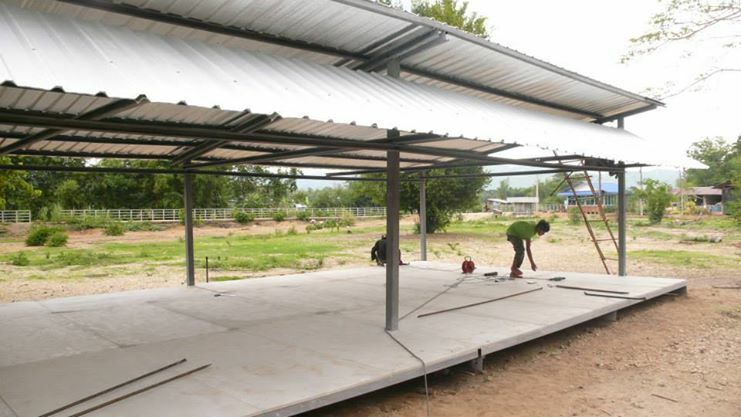 Next to be installed was the metal roof structure and finally the Shera board flooring material for the classroom floor. It is great to see the classroom structure taking form on site at New Road, we cannot wait to see the pupils using their new classroom buildings. I look forward to updating you with final pictures of Moving School 002 very soon. 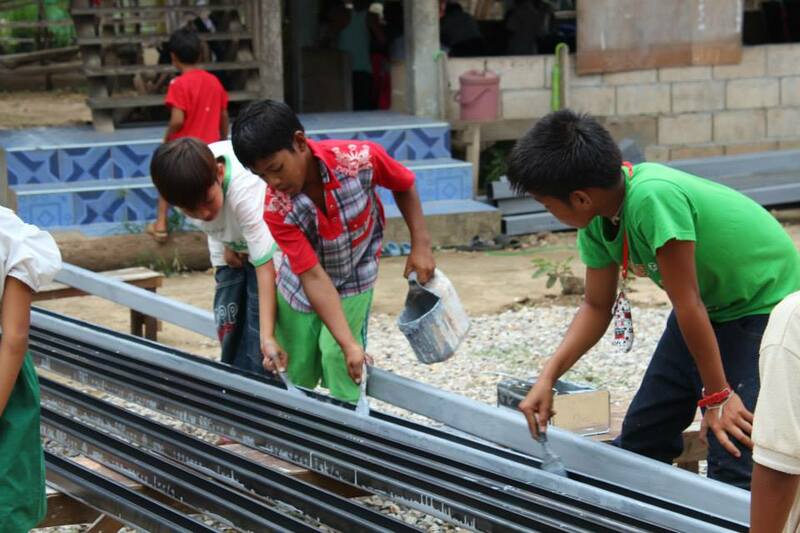 Well we are back in Mae Sot continuing the construction of Moving School 002 in Mae Ramat on the Thai/Burma border. 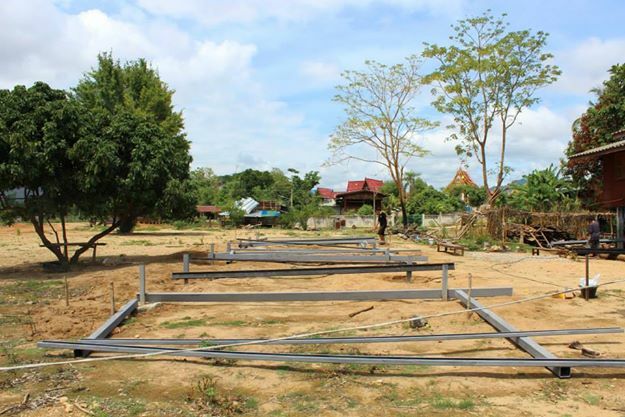 After completing the foundations in April, we were now ready to start lifting the steel frame structure of the school classrooms into place. All the steel required for Moving School 002 fitted easily onto one truck and was then transported from the Ironwood workshop to the school site in Mae Ramat. 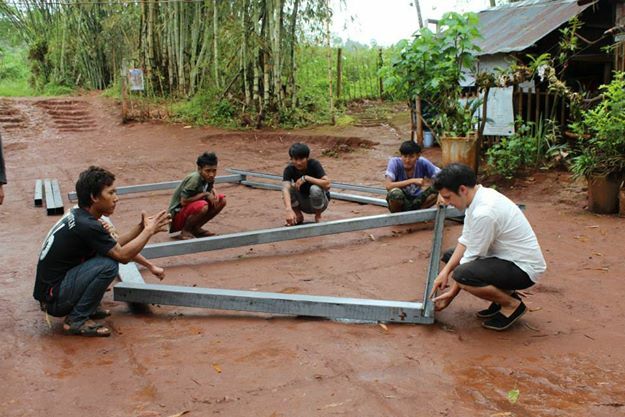 The first task on site was to check the level across the whole structure using a water level, the same technique as used previously on the first Moving School. Soon after the truck was unloaded, the Ironwood team and Building Trust began setting out the steel frames on site and bolting the sections together. When the structure was bolted together the frames were then simply lifted above the foundation posts and bolted into place at the correct height. 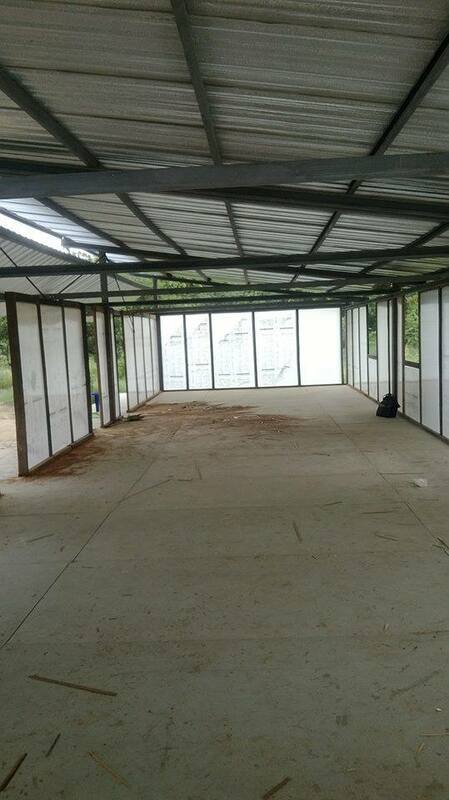 The frames are then locked in together across the whole structure with floor joists and roofing frame. The next step will be to connect all floor joists into place and then attach Shera board to create the classroom flooring. Shera board is a cementitious wood board which we used on the first Moving School, it is very strong, durable and cleans easily so is great for the flooring of the classrooms. 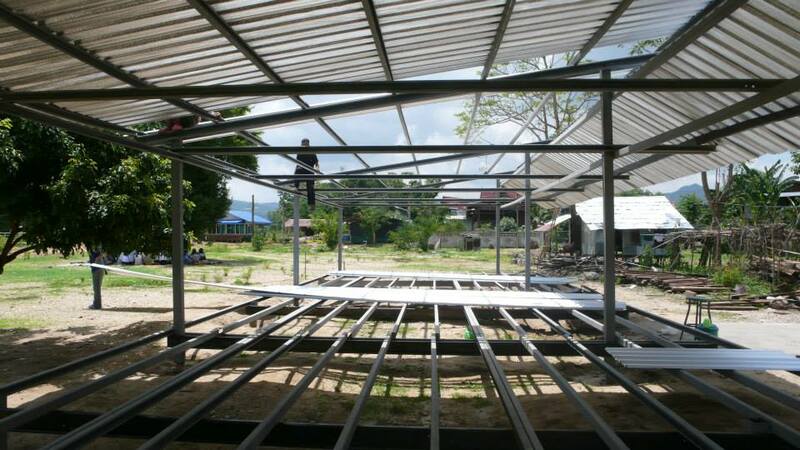 The roof for the school will arrive on site tomorrow and I look forward to sharing with you photos of the installation very soon.